Expedia has Korfos packages waiting for you. 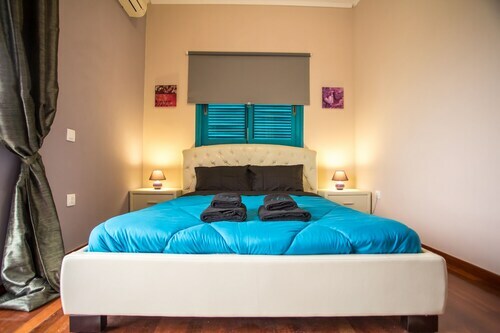 Bundling your airfares and lodgings is one of the simplest ways to save money on your trip. Our impressive international database allows you to browse more than 321,000 properties worldwide and 400 partner airlines. With such a terrific range of options, arranging your dream vacation will be a breeze! You never have to worry about altering your travel itinerary, as we don't charge additional cancellation fees for almost all of our hotel bookings. It can be really nice to just roam the streets in a new destination, but sometimes it's a wise idea to have an agenda. Grab your itinerary — we've got some excellent ideas for your forthcoming Korfos vacation. Theater can challenge the way we think and asks us to aspire to bigger things. Attend a show at Theater of Epidaurus and open your mind to some big ideas. There's a great range of things to keep you busy close by. From beautiful starfish to old bits of driftwood, there are plenty of delightful treasures to be found on a seashore. Why not take a bucket and see what you can unearth at Aponisos Beach? Still have time on your hands? Want to discover the stories of human history? Get an expert insight into past human behavior and societies at Archaeological Museum of Epidaurus. Regrettably, there aren't many accommodations to choose from in Korfos. 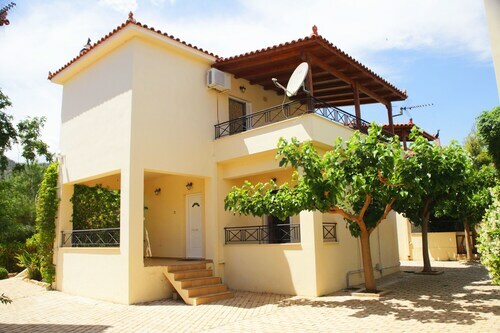 The Saronikos Residences (Fragkolimano, Sofiko) is the only Expedia-listed property close by. Organized the flights for your trip to Korfos yet? When you arrive, get ready to walk out into Eleftherios Venizelos Airport (ATH). It's 45 miles (72 km) from the terminal to the heart of town. Nestled on the beach, this Corinth apartment building is within 32 mi (52 km) of Corinth Canal, Theater of Epidaurus, and Ancient Corinth. Historical and Folklore Museum of Corinth and Acrocorinth are also within 32 mi (52 km). Situated in Korfos, this vacation home is within 32 mi (52 km) of Corinth Canal, Theater of Epidaurus, and Ancient Corinth. Historical and Folklore Museum of Corinth and Acrocorinth are also within 32 mi (52 km). 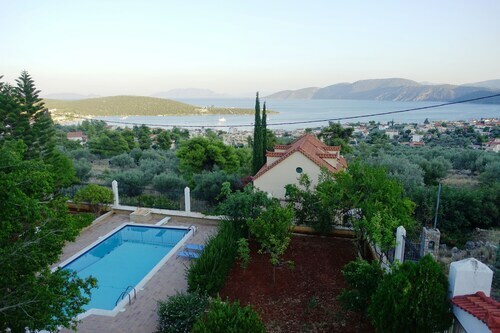 Situated in Corinth, this vacation home is within 32 mi (52 km) of Corinth Canal, Theater of Epidaurus, and Ancient Corinth. Historical and Folklore Museum of Corinth and Acrocorinth are also within 32 mi (52 km). Situated near the beach, this apartment building is within 32 mi (52 km) of Corinth Canal, Theater of Epidaurus, and Ancient Corinth. Historical and Folklore Museum of Corinth and Acrocorinth are also within 32 mi (52 km). 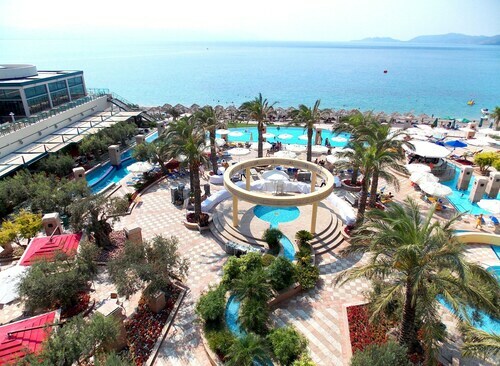 Located in Loutraki-Agioi Theodoroi, this beachfront hotel is in the city center, 1.3 mi (2.1 km) from The Diolkos, and 2.7 mi (4.4 km) from Historical and Folklore Museum of Corinth. Ancient Corinth and Corinth Canal are also within 9 mi (15 km). Situated in Corinth, this hotel is 2 mi (3.1 km) from Temple of Apollo and 2 mi (3.3 km) from Ancient Corinth. Archaeological Museum of Ancient Corinth is 2 mi (3.3 km) away.